In case you haven't heard the news, Oreo has released a limited edition flavor, Red Velvet. They are available at grocery stores now. I got a package of them and I plan to incorporate them in some desserts. If you want to make your own, then check out this post from the PBS food blog. Some pastry chefs reviewed them on Grub Street. 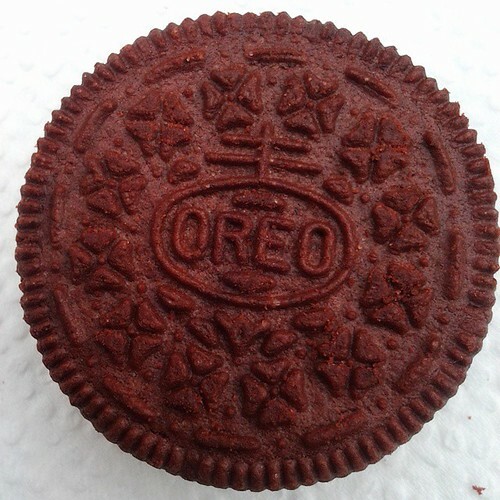 In the meantime, here's a photo of one of the red velvet Oreos up close.